Land owners along the route have been mailed noticed that their properties may be required for the project. Hundreds of homes and businesses are expected to be acquired. Metro promises to minimize the purchases once the final route is approved. 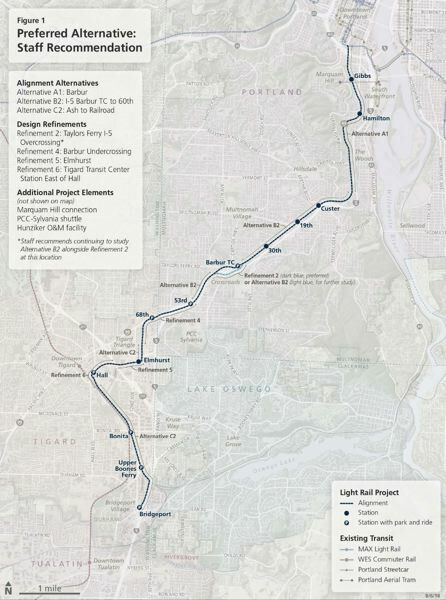 To read a previous Portland Tribune story on the project, visit https://tinyurl.com/yc7kzqss.